This is one of my first Edinburgh Sketches, from over a year ago when I first had the idea of a sketch blog. Today I was working on my new gallery page> https://edinburghsketcher.com/gallery/ and looking through all the images I have posted over the last year. It’s great to see them all together and the memories each one holds, like a illustrated diary! I also realised that I hadn’t posted this image of Edinburgh Castle, the one I used in my logo and icon for social networking. 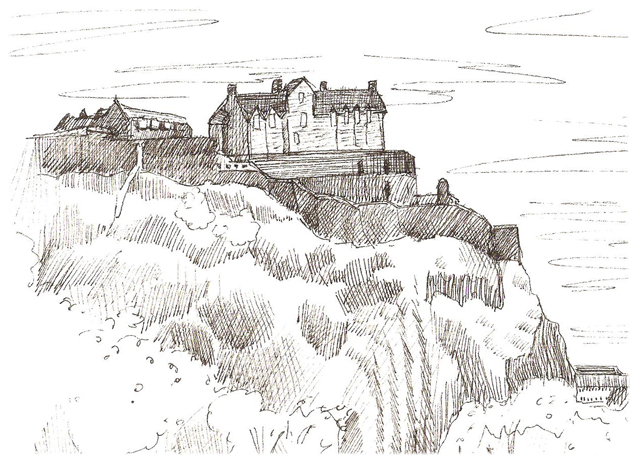 So here is the original Edinburgh Sketch.